Kelvin Benjamin had to hear a lot of fat jokes this offseason. This TD catch may quiet those folks down a bit. 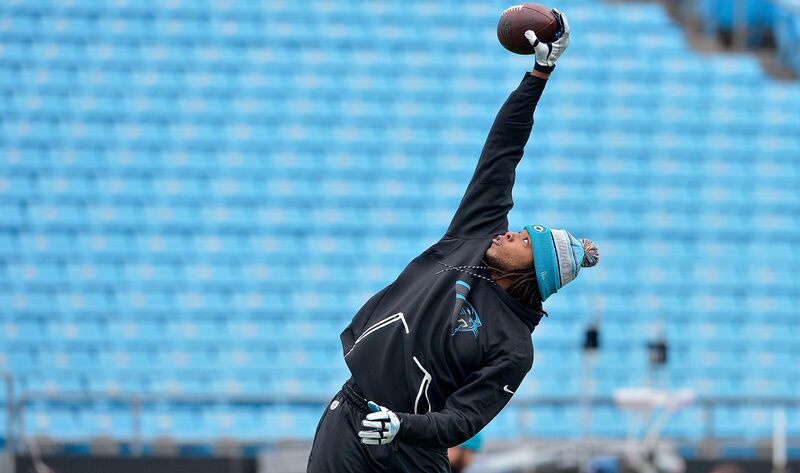 It hasn’t been the best offseason for Carolina Panthers WR Kelvin Benjamin. After a disappointing 2016 campaign, Benjamin got crushed in many circles when he showed up for OTAs. He wasn’t in the best of shape and plenty of people felt the need to weigh in on social media. Sure, it’s just the first game of the preseason. However, Benjamin didn’t look too chubby when he got up and hauled that TD in. Also, he went over Texans cornerback Jonathan Joseph. That’s a Pro Bowl-caliber corner covering Benjamin. The length that Benjamin has is unreal, and he’s going to win more than his fair share of 50/50 passes. The Panthers have made a lot of noise about changing the offense and having starting QB Cam Newton get the ball out quicker. They drafted RB Christian McCaffrey and RB/WR Curtis Samuel to give Newton more diverse weaponry in 2017. That’s all well and good, but Benjamin is still a talented WR and can go up and get any pass. Since Benjamin missed all of 2015 with a torn ACL, he’s only entering his third season that he can actually play. He surpassed 1,00 yards his rookie year and almost got there in 2016. He may never be the target hog that some of the elite WR in the game are, but he possesses a unique skillset. Since Benjamin didn’t have the greatest season in 2016, it’s easy to forget that he’s actually a good WR. He’s also not in the most pass happy offense in the NFL. If anyone needed a reminder of how hard the “fat” Kelvin Benjamin can be to cover, just go ask Jonathan Joseph.